The Whitney Plantation Is The Only Confederate Monument We Should Keep | BuzzFeed I went to the Whitney Plantation Museum to see if America is ready to reckon with its past. The sweltering Louisiana countryside north of New Orleans is full of fields of sugarcane, a crop with long, slender leaves so razor-sharp they will slice the skin on your bare arms into ribbons if you walk past them uncovered. If you get too close to a sugarcane field’s edge, you may be stung by fire ants or wasps; if you wade into its depths, you risk being bitten by snakes or eaten by alligators. These fields, worked by enslaved black people until 1865 (and worked by black people for decades after emancipation under various forms of duress) are anchored with the kind of Big House most Americans might associate with Gone With the Wind or Django Unchained. Many of these plantation houses have become bed-and-breakfasts — luxury tourist destinations that routinely serve as wedding venues, where women in white dresses walk down the aisle in a place with few, if any, nods to the enslaved black people who worked the ground on which they’re getting married. 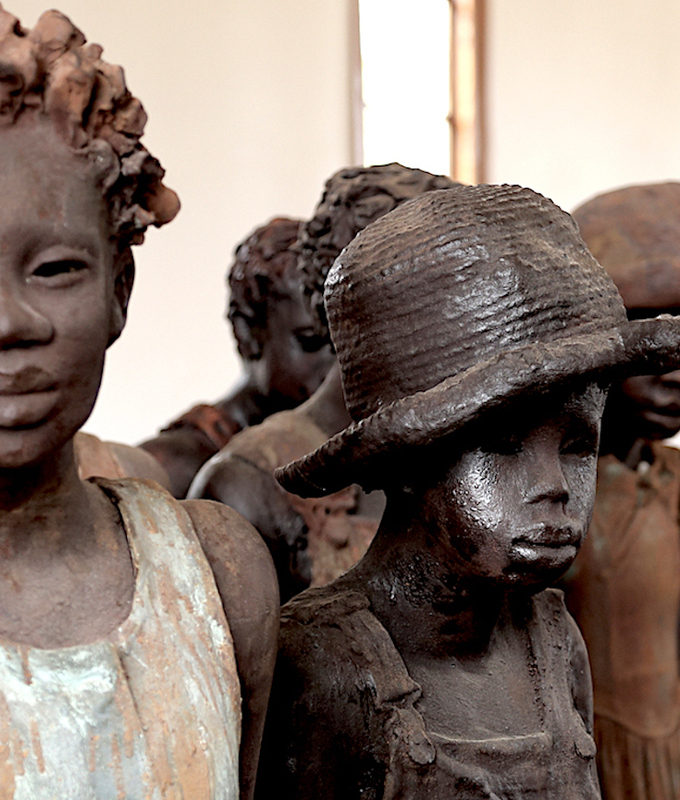 There is one exception to this erasure of slavery: the Whitney Plantation Museum. Sitting on a tract of land abutting the Mississippi River, the Whitney, which was purchased in 1752 by German immigrant Ambroise Heidel, is the only Louisiana plantation that functions solely as a museum of slavery. A guided walking tour lasts for 90 minutes — and you can walk around for longer on your own, if you can stand the humidity. The Whitney gives visitors the opportunity to learn how the modern American economy — not just the “Old South” — was built by the pornographic, inhumane, and (for owners of enslaved people, like Heidel, Thomas Jefferson, and Robert E. Lee) lucrative enslavement of black people. The Federal Writers’ Project was a United States federal government project to fund written work and support writers during the Great Depression. It was part of the Works Progress Administration (WPA), a New Deal program. It was one of a group of New Deal arts programs known collectively as Federal Project Number One. Funded under the Emergency Relief Appropriation Act of 1935, the Federal Writers’ Project was established July 27, 1935, by President Franklin Delano Roosevelt. The project operated under journalist and theatrical producer Henry Alsberg, and later John D. Newsome, compiling local histories, oral histories, ethnographies, children’s books and other works. The most well-known of these publications were the 48 state guides to the United States (plus Alaska Territory, Puerto Rico and Washington, D.C.) known as the American Guide Series. The American Guide Series books were written and compiled by the Federal Writers’ Project, but printed by individual states, and contained detailed histories of each state with descriptions of every city and town. The format was uniform, comprising essays on the state’s history and culture, descriptions of its major cities, automobile tours were one of the important attractions, and a portfolio of photographs. The Federal Writers’ Project was funded and put to work, as a Public Works in and around the west coast, through Washington, Oregon and California. (Wikipedia).